Rare’s Sea of Thieves didn’t get off to the best of starts, with the game not launching with enough content to fully satisfy buyers. However, that doesn’t mean that the game isn’t enjoying some success, as the game has just surpassed a big player count milestone. 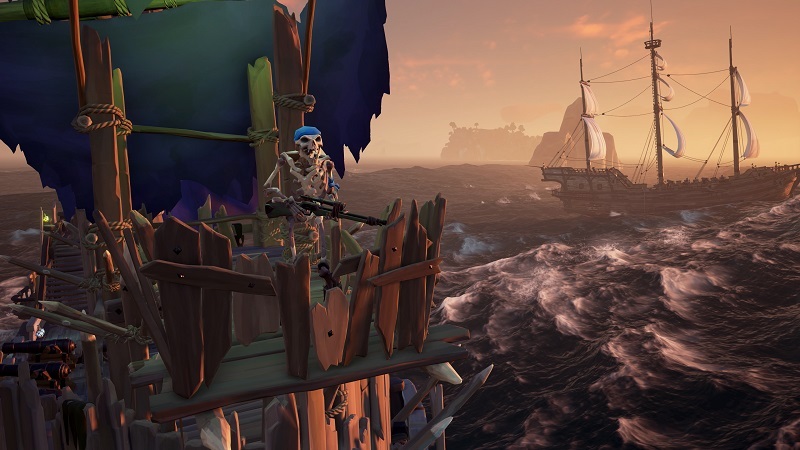 Rare and Microsoft have announced (via xbox.com) that the game has just surpassed 5 million players total, which is split between Xbox One and PC. Considering that the game is a brand new IP, those numbers are certainly nothing to scoff at. This announcement coincides with a new content update called Cursed Sails, which brings new enemy skeleton ships to battle against. There’s also new three-man Brigantine ships to take them on with, as well as a new alliance system. All of the aforementioned content is free to download for both buyers of the game and those who are playing it through Game Pass. That’s not all, as a new Developer Update video was also released by Rare. This one features Executive Producer Joe Neate as he discusses the new features brought with the latest update. You can watch the video for yourself at the bottom of this post.